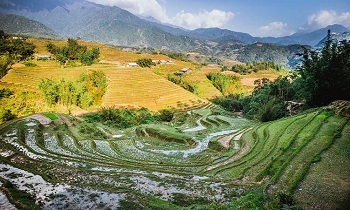 Coming to Sapa, you cannot ignore a trekking trip or a cable car trip to conquer Fansipan peak, it is the highest mountain range in Vietnam with the majestic landscape. 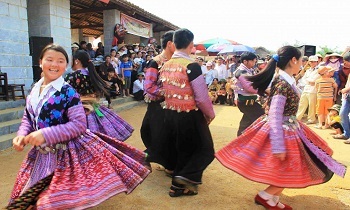 Hoang Lien Son range includes Vietnam's highest mountain: Fansipan at a height of 3142m. 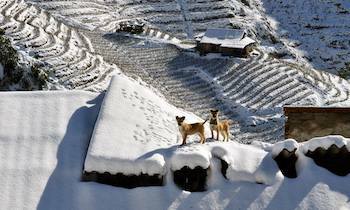 It is considered as the roof of Vietnam and Indochina. 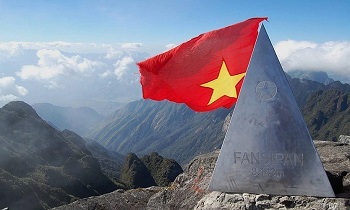 Fansipan is the highest mountain in Hoang Lien Son range, the largest width of about 75km. It is concluded 3 blocks: Bach Moc Luong Tu, Fansipan and Pu Luong. 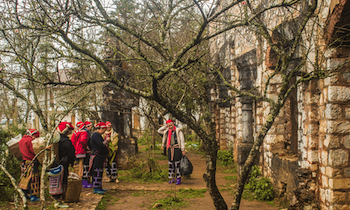 For tourists, who are adventurous come to Fansipan, want to explore and experience the spectacular natural, can join Sapa trekking packages or Sapa tours from Hanoi. On the holiday, people go there is huge. This place has natural conservation areas which includes temperate forests with bright yellow flowers and sub-tropical forest. Fansipan is the place for 2024 plants, 327 species of animals including many species of mammals, reptiles, amphibians and insects. Come here, you can see some animals. On the high point at 2963m has a milestone marking the conquering of the French in 1905. Climbing up a little bit more, tourists can see a huge stone blocks, located by a small stone. You should conquer Fansipan peak in summer, weather is sunny and less cloudy. 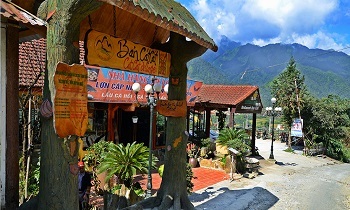 So when you sit on the cable car you can witness the panorama of Sapa without being clouded or mist covered. If you like feeling cold and snowy, you can come here in winter. 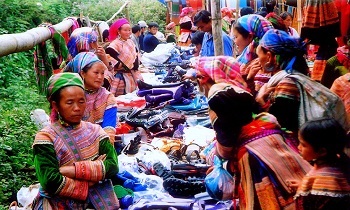 Tourists need a sleeping bag that can be hired in Sapa about 120.000 VND at the tourist office. Sleeping on Fansipan is always a problem when mountain lodging is very basic. Small groups (4-5 people) can sleep in the tents; the large group should be prepared camp. 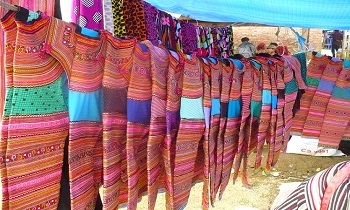 There are many different sizes and different prices. 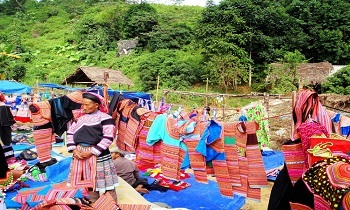 Camp for 2, 4 or 10 people, price is about 120-200.000 VND/camp/day. You are permitted bringing camera. 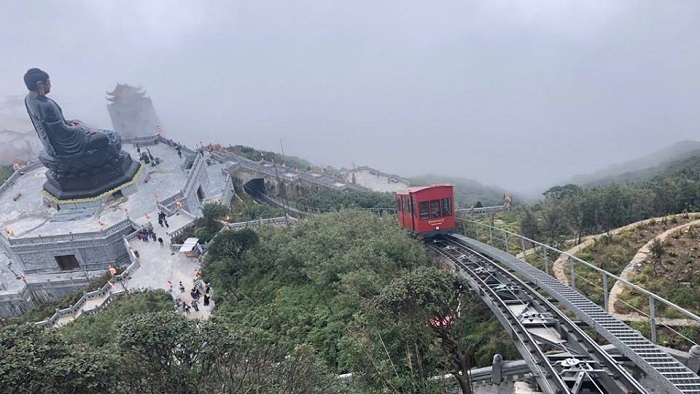 You can choose to take the cable car to conquer Fansipan. The advice for you not to be in good health is to ride a cable because it is fast and saves time and money. Currently, there are also climbing trains that help you get past the walking stairs. Round-trip cable fare is VND 700,000 and round-trip climbing train is VND 150,000. If you are a student, remember to bring your student card for a great discount. With this information above, we hope that you will have a great trip in Fansipan. 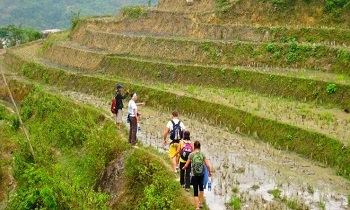 If you need further information about our Sapa tour or Sapa trekking tips, please contact us. Thank you and have a nice trip!